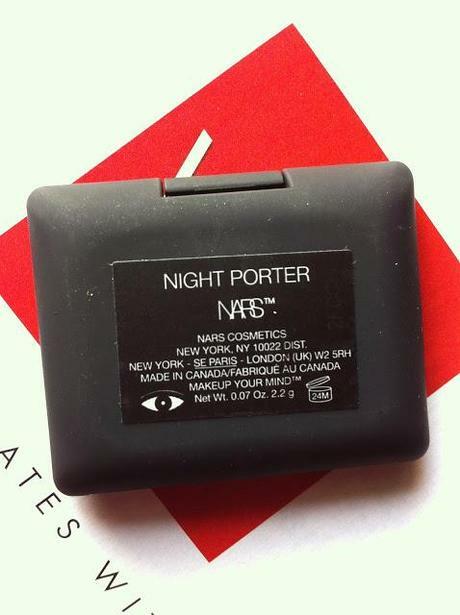 Night Porter is my first NARS eye shadow and I bought it after reading some wonderful things about this shade. 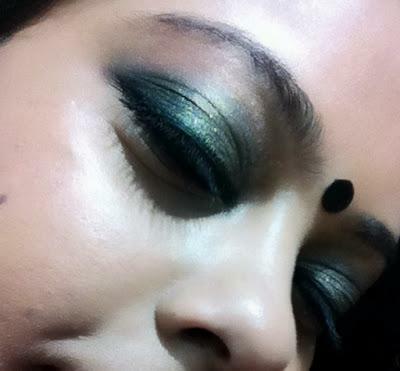 Green is one of my favorite eye shadow colors and when I saw the swatches, just could not resist ordering it from strawberrynet for around Rs 1500. Night Porter was released by NARS as part of the Night Series collection in 2011 and this is the color that got the best reviews. 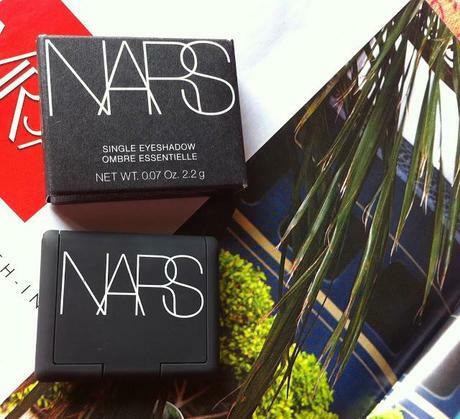 NARS has made the eye shadows permanent so you can get these at any store or online. Night Porter is a gorgeous dark forest green with a golden metallic sheen. I've used the color both dry and wet and it is easier to apply and looks much better when applied with a slightly damp brush. The color pay off is great and it looks so rich. When dry, it is stiff and hard and quite difficult to blend. Also, not much of the shimmer shows up on the lids. There is however no creasing and fading and the color lasts for nearly 6-7 hours even without a primer. 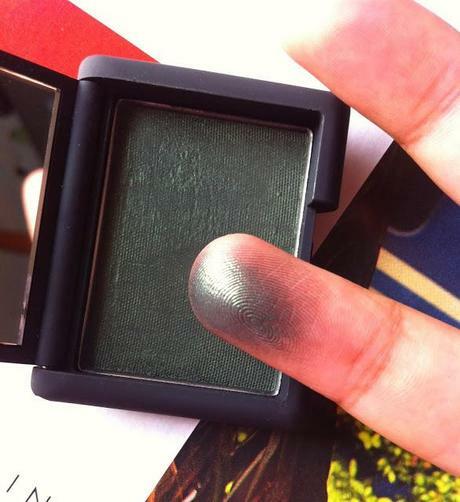 Night Porter is a pretty unique shade and is great for a smokey eye look. It pairs wonderfully well with black, gold and any warm color. Here, I've applied Night Porter all over the lids and a bit of gold in the middle. Lined eyes with kohl and finished off with two coats of L'oreal's Volume Million mascara. I love Night Porter because it's such a gorgeous color. Will I say it's a must have? No, I won't and the reason is that it's stiff and hard to work with. Buy it if you love the color and don't mind the texture. 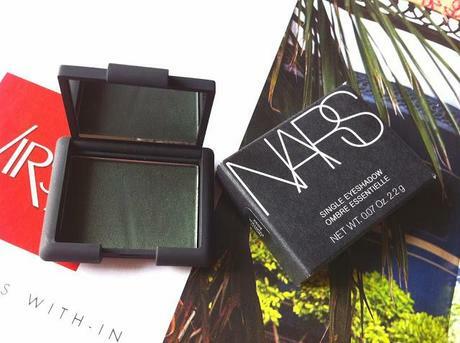 Have you tried any NARS eye shadow? Which is your favorite?